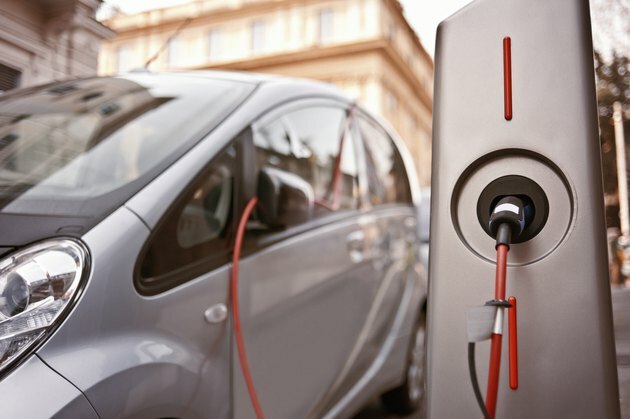 Hybrid electric vehicles--HEVs--combine a gasoline-powered combustion engine with an electric motor to offer a more environmentally-friendly driving experiences. Hybrid cars are classified according to the type of drivetrain or powertrain they feature, which determines how the engine and the motor work together to power the car. Parallel hybrids and series hybrids represent opposite ends of the spectrum and there are several key differences between these two types of hybrid drivetrains. In a series hybrid, the electric motor is solely responsible for turning the vehicle's wheels. According to Hybrid Center, the electric motor is charged by the battery pack or by the generator, which is powered by the gasoline engine. The gasoline engine in a series hybrid is not coupled to the wheels and does not directly power the car. A controller in the transmission determines how much power is needed to propel the vehicle and whether to pull it from the battery or the generator. The efficiency of parallel and series hybrids varies according to the conditions under which they're driven. According to Hybrid Center, the composition of parallel hybrids makes them more efficient for highway driving at higher, more constant speeds. Conversely, series hybrids are more efficient for driving in the city because their drivetrain structure reduces the strain on the engine in stop-and-go driving situations.